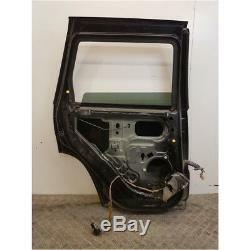 Left rear door used jeep grand cherokee black 005211191. Our gpa price: 220,95. The staff of gpa, recycler of automobiles in livron sur drôme (between valence and montelimar, in the heart of the region rhône-alpes), welcomes you to its shop whose daily challenge is to offer you the widest choice of parts auto opportunities guaranteed, quality and not expensive. Thanks to this gpa store, you will not waste time on auto breakage for your used car parts! Here is all the information that will help you choose your used grand cherokee rear door. Features of your left rear door. Original reference: 55394 385af (if starting with nc = internal reference). Delivery time 24 / 48h, delivery by carrier. Tests, quality control and warranty. By the specialized disassembler: yes. By the quality manager: yes. Duration of the guarantee: 12 months. Professional advice: This Jeepgrand cherokee left rear door is the result of a careful disassembly process and rigorous quality control. Be aware that the vehicles from which our parts come have, like yours, thousands of miles on the clock. So, if our used parts are of the highest quality, they are not new. Superficial scratches and slight snags can sometimes testify to the experience of these. If, however, you are looking for an optimum result, body repairs may be necessary. 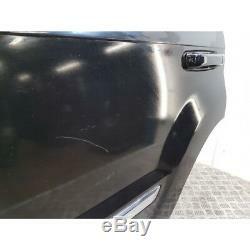 Features of the grand cherokee jeep on which we took your left rear door. Model: grand cherokee 3.0 crd v6 24v 4x4. Box type: 722270 - 5 automatic. We hope that the description of this used car part is complete enough to guide you in your choice. If this is not the part you need, remember that we stock tens of thousands of guaranteed, cheap, auto parts, and we most likely have the one that will meet your needs. And finally, thank you for your visit on the shop of gpa: certainly the best value for your guaranteed used car parts! And leave a note and a comment after your purchase, it helps us a lot to progress and congratulate the teams. Thanks to you and your confidence, gpa is no longer a car breaker like any other, we are auto recyclers, producers and distributors of auto parts from the circular economy! Oh yes, one more thing ... Know that our profession is highly regulated, and that's good! Here is our prefectural approval number authorizing us to excercate, disassemble and sell auto parts occasions: pr 260026 d. Never buy used parts from a company that does not display it! In addition, gpa is iso14001 certified for the respect of the environment and iso9001 for its quality approach. Sale second hand subject to the special regime: "used goods\Gpa is an official partner of the autoplus club. 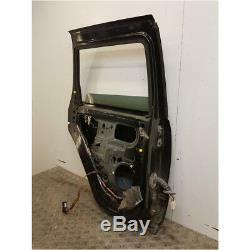 The item "used left rear door jeep grand cherokee black 005211191" is on sale since Thursday, October 11, 2018. 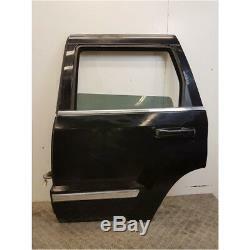 It is in the category "auto, motorcycle parts, accessories \ auto \ parts \ bodywork \ doors". The seller is "gpa_26" and is located at / en fr.